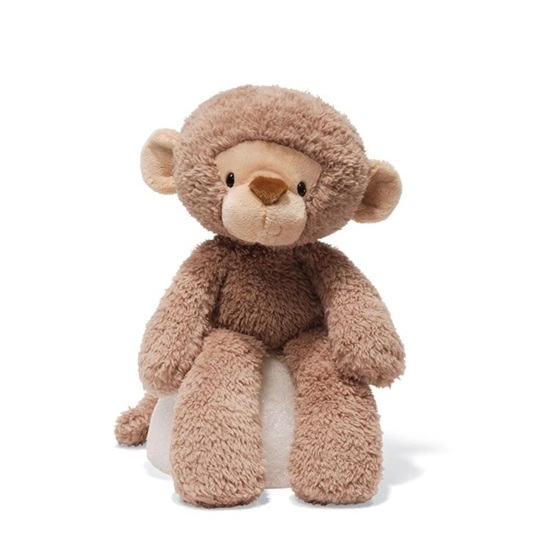 Meet "Fuzzy Monkey" a soft, huggable monkey from GUND. This is a 13 1/2-inch soft plush monkey, with a light dusty brown body, and a tan face and ears. With his floppy arms and legs, silly ears and tail, he is perfect for hugging and cuddling! He has black safety eyes, and a soft, plush brown sewn on nose. He is good for ages 1 and up and is machine washable.